As more and more tourists settle into cozy vacation houses in Lake Tahoe's "bear country," people are having to learn to live with their animal neighbors -- even when those neighbors are asleep. 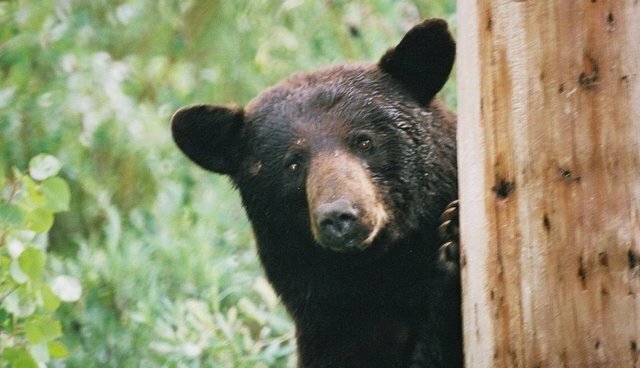 Residents say that bears have been sneaking under their homes (some homes are deserted for the winter, some are inhabited on weekends) to hibernate in the winter months. The spaces make the perfect cozy dens, and some people don't mind the intrusion, says Ann Bryant, executive director of the Bear League. If people don't want a bear living under their house, though, a sort of bear SWAT team is called in to scare the animal from under the house, and any openings are sealed up. But a few homeowners opt not to displace the bears during their hibernation, so Bryant and other volunteers visit them periodically. In this ABC 7 segment, Bryant comes across a 600-pound male bear under a house, awake but groggy and non-threatening. Bryant said that with the help of experts, bears and people can coexist during the hibernation. "In all these hundreds of bears that have slept under homes for months at a time, we've never had a case of anybody being hurt, no dogs being hurt, no neighbors being hurt."